Our Cygnet range of greenhouses come in three standard sizes with two additional porch sizes available. Each of these greenhouses come with two front returned stagings and are constructed with redwood pine glazing bars. Toughened safety glass is used throughout on these buildings and there are several options available including staging , and gutter systems. The Cygnet Greenhouse with porch, toughened safety glass and two front returned stagings as standard. The Cygnet Greenhouse with porch, toughened safety glass and automatic roof vents. 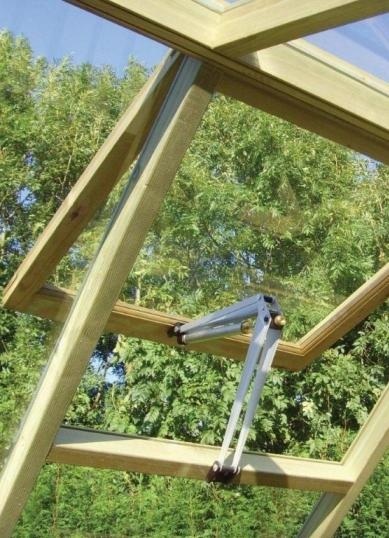 The Cygnet Greenhouse with porch, toughened safety glass, aluminium handles and mortise lock.